BodySpec - Do You Have A Big Head? 18 JUN 2018 | FIND OUT HOW YOUR HEAD COMPARES TO EVERYONE ELSE! Have you ever been told that you’ve got a "big ole head"? Or do you have the opposite problem – perhaps even the x-small helmets still slip right off? In this blog post, we’ll give you the numbers to prove or disprove your suspicions, and figure out how massive your head is compared to everyone else! On our DXA scan reports, we don’t track fat and lean tissue changes in the head separately, since we don’t typically train the head. But the reports give you all the data needed to calculate the mass of your head. Here’s how! Pull up your last BodySpec DXA scan! It’s as easy as logging into your account and clicking on your PDF results. Look at the bottom of the first page, at the Regional Assessment. Let's take a look at a sample scan as an example. So now that you've figured out the size of your head, how does it stack up? Here’s a handy percentile chart to find out. Within your gender row, go across until you find the range in which your calculated head mass falls. Then look to the top row of the chart for your quintile. So the 9.9 lb head from the example above would be in the 0% – 20% percentile range if it were a male head – very small! However, if it were a female head, it would be in the 60% - 80% percentile range, considered a bit larger than average. What About My Relative Head-to-Body-Size Ratio? Even if your head isn’t big on its own, it may still look big if you’ve got a relatively large head compared to your body! To calculate your head-to-body-mass ratio, all you have to do is divide your head mass by your total body mass. 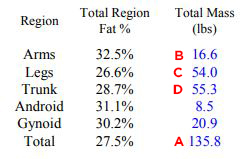 In this situation, this individual’s head only comprises 7.29% of his or her total body mass. 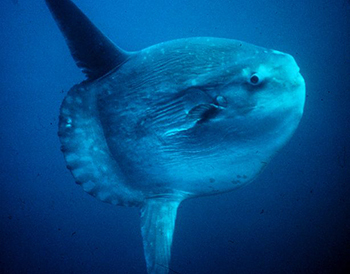 Compare that to this mola mola, whose body looks like it’s about 80% head. We’ve provided a percentile table for a head-to-body-mass ratio so you can see how you compare! BodySpec’s average (50th percentile) head mass for females is 9.38 lbs. For males, it is 10.99 lbs. If you’re female, and your head is 7.67 lbs or less, or if you’re male with a head measuring 8.97 lbs or less, congratulations! Your head is within the smallest 1% of all those we’ve measured at BodySpec. On the other hand, if you’re a female with a 11.63 lb head or greater, or a male with a 13.73 lb head or greater, your head is amongst the 1% largest that we’ve scanned. Wowza! Wondering about our sample sizes in the tables above? 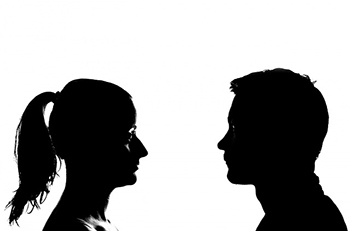 For males, n = 38,096; for females, n = 29,596. Please note that for both tables, the data excludes individuals under the age of 20.